The Lockheed Martin AGM-158 Joint Air-to-Surface Standoff Missile (JASSM) is a next generation, precision guided, long range standoff cruise missile enabling the U.S. Air Force to destroy the enemy's war sustaining capability from outside its area air defenses. JASSM is a conventionally armed low observable, subsonic cruise missile designed to destroy high-value targets. JASSM can be delivered from both fighters and bombers. The JASSM is produced in a Baseline variant (AGM-158A) as well as an extended range AGM-158B (JASSM-ER) variant. JASSM has automatic target recognition, autonomous guidance, precision accuracy, and a J-1000 warhead optimized for penetration. These characteristics give JASSM strong capabilities against heavily defended hard targets such as aircraft shelters and underground command posts, as well as soft targets such as rail yards. JASSM's accuracy of three meters or less reduces the number of weapons and sorties required to destroy a target. The missiles employ an Imaging InfraRed (IIR) seeker system and use GPS/INS for midcourse navigation and as a back up for terminal guidance. Missile launch can occur over a wide range of altitudes and at ranges greater than 200 nm (230 miles/370 km) for the AGM-158A Baseline missile and greater than 500 nm (575 miles/926 km) for the AGM-158B Extended Range variant. JASSM carries the WDU-42B (J-1000), a 1000-pound class penetrating warhead with 240 pounds of AFX-757. AFX-757 is an extremely insensitive explosive developed by the Air Force Research Laboratory at Eglin Air Force Base (AFB) in Florida. The fuze is the FMU-156B employing a 150-gram PBXN-9 booster. The Air Force procurement objective is 2,034 JASSM Baseline missiles (through 2016) and 2,866 JASSM-ER (through 2023). The U.S. Navy has funded six JASSM Baseline development missiles but not purchased production missiles. JASSM has entered foreign service in Australia (RAAF) and Finland (Finnish Air Force) and in September 2015, the Polish Air Force ordered JASSMs for its F-16 fleet. In July/August 2012, the final eleven JASSM-ER test flights were flown, completing 16 flight tests with 16 successes. This cleared the JASSM program for Full Rate Production (FRP) and paved the way for the JASSM-ER Initial Operational Capability (IOC). In January 2012, the final flight test required to integrate JASSM on the F-15E Strike Eagle was successfully completed. On December 15, 2014, Lockheed Martin announced that the U.S. Air Force had approved the JASSM-ER for full rate production (FRP). Lockheed Martin manufactures JASSM missiles at its facility in Troy, Alabama. On August 12, 2015, Lockheed Martin celebrated the opening of a new 64,500-square-foot Cruise Missile Annex in Troy, where it will produce JASSMs and Long Range Anti-Ship Missiles (LRASMs). Key JASSM suppliers are Continental Motors (J402 engine for JASSM baseline), Williams International (F107 engine for JASSM-ER), and Exelis (now Albany International), which provides composite missile bodies and structures for both the baseline and ER versions. In September 2016, Lockheed Martin delivered 2,000th JASSM missile to the U.S. Air Force. The baseline AGM-158 JASSM is integrated on the B-52 Stratofortress, F-15E Strike Eagle, F-16 Fighting Falcon (Block 50), B-1B Lancer, and B-2 Spirit. Future applications include the F-16 Fighting Falcon (Block 40), F/A-18E/F Super Hornet, and F-35 Lightning II. 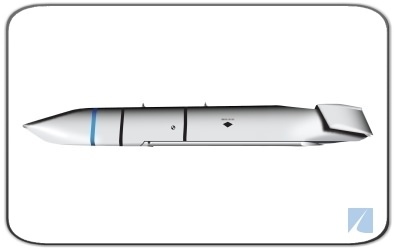 The extra-range AGM-158B (JASSM-ER) can currently only be employed by the B-1B Lancer, but future applications will include the F-15E Strike Eagle, F-16 Fighting Falcon (Block 25-42 and 50/52), the F-35 Lightning II, and the B-2 Spirit. A 15-year JASSM production forecast is available through Forecast International's Platinum Forecast System, which includes a breakout of total market unit and value statistics by manufacturer and end-user. This real-time service also includes information on all prime and subcontractors, contract awards, worldwide inventories, a complete program history, and a rationale detailing the outlook of the program. 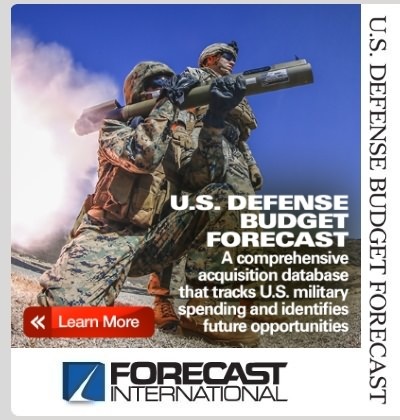 A 10-year JASSM production forecast is also available in report format through Forecast International's Missile Forecast service. The mission of the JASSM is to destroy targets from a long-range standoff position deliverable by fighter and bomber aircraft. JASSM employment will occur primarily in the early stages of conflict before air superiority has been established as well as in the later stages of conflict against remaining, heavily defended high value targets. 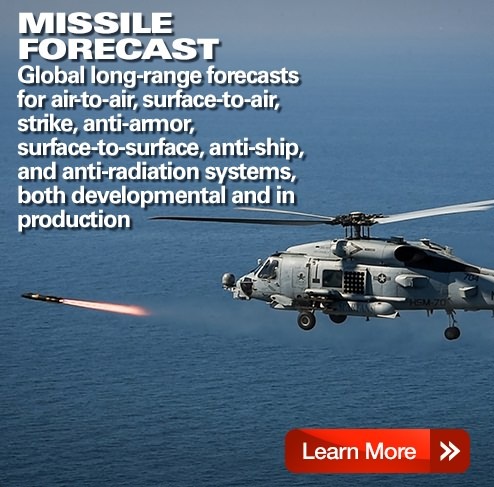 Sources: U.S. Department of Defense (DoD) and Lockheed Martin Corp.